Today it's my name day! //edit: obviously, this is a joke thread. Re: Today it's my name day! EDIT: It's my birthday on friday. 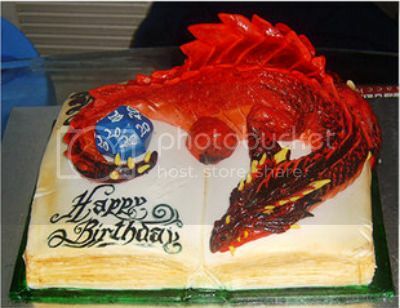 Dude... that's the coolest cake I've ever seen. I want one. Ask Google, I guess... I thought it was pretty cool. "My solution way too often is to press the red button and see the world burn, which brings us back to the fiery pits of Hell..."
Found this for you, and by you I mean I googled this 9 months ago and told everyone Happy Birthday at once else where and I'm reposting it just for you. I got you this spiffy box. Inside, you find a handkerchief and a note. PS: You have just triggered explosive runes. I got him a spiffy box too, but with something very different inside. They did the d20 wrong , but I still want 2nds on it. Technically I can't eat My Kitty Avatar Cake. Well, wouldn't you want a d20 that was all 20's? Now I want 3rds on it.